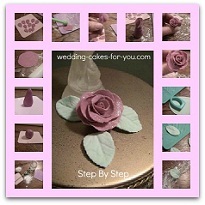 Watch your gumpaste flowers and Decorations come to life as you follow the step-by-step tutorials. Cake decorating flowers like, Orchids, Hydrangea, Fantasy Flowers, Daisies, Gerbera Daisies and Dogwood Flowers are included on this page. 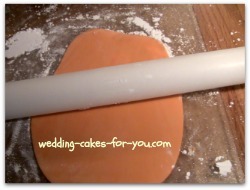 Gumpaste dries faster and harder than fondant and is very easy to make. You can buy pre made if you don't want to bother with the homemade version, but this is a more economical way and is not difficult. 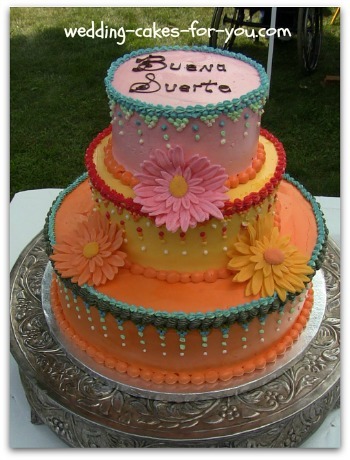 "Your gum paste recipe is great and economical. I had all of the ingredients in the house. Had it not been for your tutorial I would have gone out and bought premade gumpaste"
"Thank you for taking the time to answer my questions and for sharing your recipes!! Start with the water. If you are using cups it is less than 1/3 cup (about 3/4's of a 1/3 of a cup. If you are weighing it it is 74 grams or 2.5 ounces. Put the water in a glass bowl or glass measuring cup and sprinkle 1 tablespoon of gelatin. Let it sit for 5 minutes. Next you want to take your gelatin and pop it in the microwave for a few seconds, just until it dissolves and becomes liquid again. Next take your powdered sugar, cornstarch, and cream of tartar. Mix that lightly and make a well in the middle. Add the gelatin. Mix with a wooden spoon to blend it together. Take a little bit of shortening and put it on your hands. Grease in between your fingers and all over your hands. Now you finish off the mixing by hand. Until you get all the sugar incorporated. If it seems to dry add a few drops of water if it is too sticky add a little bit of powdered sugar. Wash your hands before doing the last step to get any dry pieces off of your hand. you do not want to get that into the gumpaste. Next take a board or any clean surface that you can dust with powdered sugar. Continue to knead the mixture until it is smooth adding sugar if it is sticky or adding water if it is too dry. (just a couple of drops at a time. Just continue kneading for up to 5 minutes or until the pastillage is smooth like a piece of marble. Test the finished gumpaste. It will not spread when you drop it Wrap it well in plastic wrap. and store it in an airtight container if you have one. Let it sit for about an hour and it will be ready to use. You can freeze it as well. 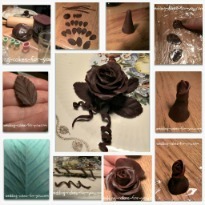 You will LOVE these gumpaste flowers. You only need a few to make an impression. The Hydrangea is made up of lots of small blossoms all tied together to make one gorgeous flower. 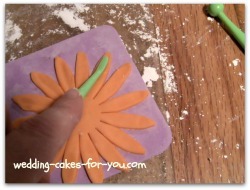 See How The Gumpaste Dogwood Flower is made...It's easy! 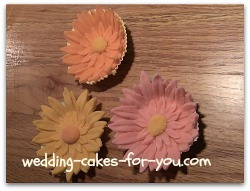 The Daisy gumpaste flowers are one of the simplest to make. 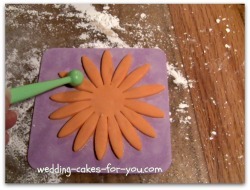 All you need are a few tools which you can get in the Wilton flower making kit above. 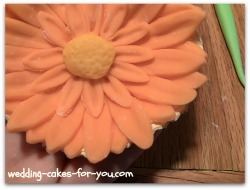 See the tip in the video for making your own gum glue adhesive and handmade flower forming cups. If you would rather keep it really simple purchase Gumpaste mix or buy it already made for your convenience. I prefer Satin Ice brand. 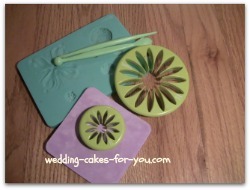 You can purchase some of the tools needed individually or get The Wilton Gum Paste Flower Cutter Set. (LINK at the bottom of the page) It has everything for cutting 12 different flowers and comes with a step-by-step book. 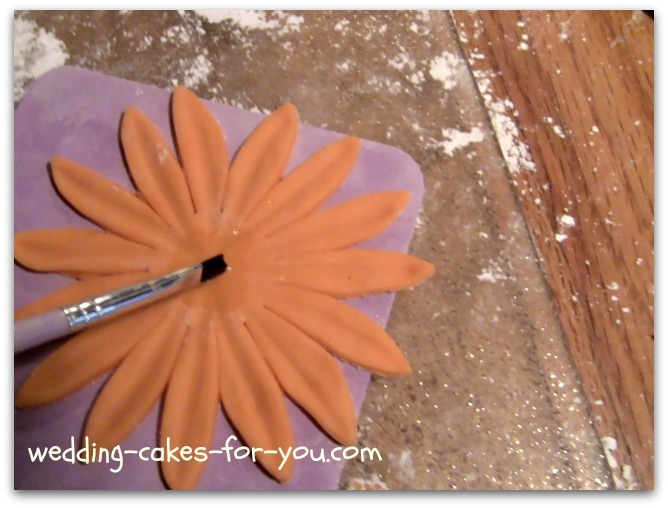 You will want to buy a few extra accessories to make your gum paste flower making easier, especially if you plan on making a lot of them. You will need a large daisy cutter, small daisy cutter, a ball tool, veining tool, a flower impression mat, shaping foam and colored gum paste. 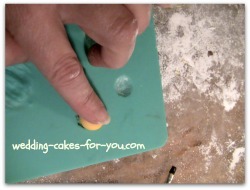 Roll out the gumpaste to 1/16 of an inch on a surface dusted with powdered sugar. 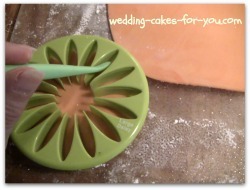 Use your veining tool to gently push the petals out of the cutter. Two large and one small daisy. 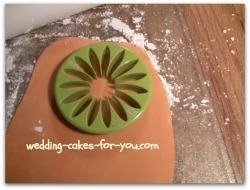 Use the veining tool to make a line down the center of each petal. Do this with all of the daisies. Here is one of the gumpaste flowers with all of the layers glued together. 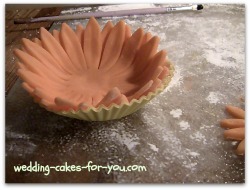 Use the ball tool and the shaping foam mat to widen the petals slightly. Make glue by dissolving a small amount of gumpaste with a teaspoon of water. Glue the second large daisy onto the first large daisy. Take a small ball of the gumpaste and push it into the impression mat. Medium center flower. Gently pull it out and glue it to the daisy. 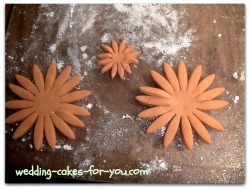 Here are all three of the gumpaste flowers for the Mexican Theme cake. I hope you enjoyed the tutorial. Want to See More? Some of the links on this page are affiliates. This means that I will receive a small commission if you purchase a product through them. There are no extra charges for doing so. This helps me keep the information on this website free of charge. Because my name is attached and your satisfaction is very important to me, I only recommend products I have purchased or would purchase myself and which I believe you would benefit from. You can read the full disclosure policy by clicking the link.